The ATC offers training for WASH sector actors i.e., NGOs, District Local Government and artisans on construction, operation and maintenance of specific appropriate technologies. 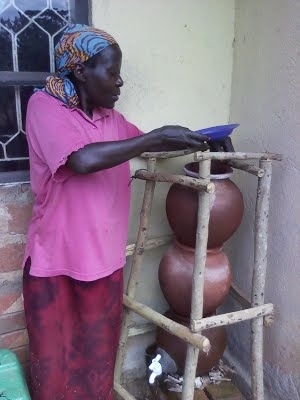 We have structured hands-on trainings on the different types of ecological sanitation toilets, low cost rainwater tanks i.e., the EMAS tank and pump, First flush devices for enhancing the quality of harvested rainwater, Iron removal plants and Bucket kit irrigation systems. Trainings are arranged based on needs. NGOs and other sector actors are encouraged to contact the centre in case they need a particular training to be offered. We also trainee student interns and graduates who are mainly attached on the on-going projects.